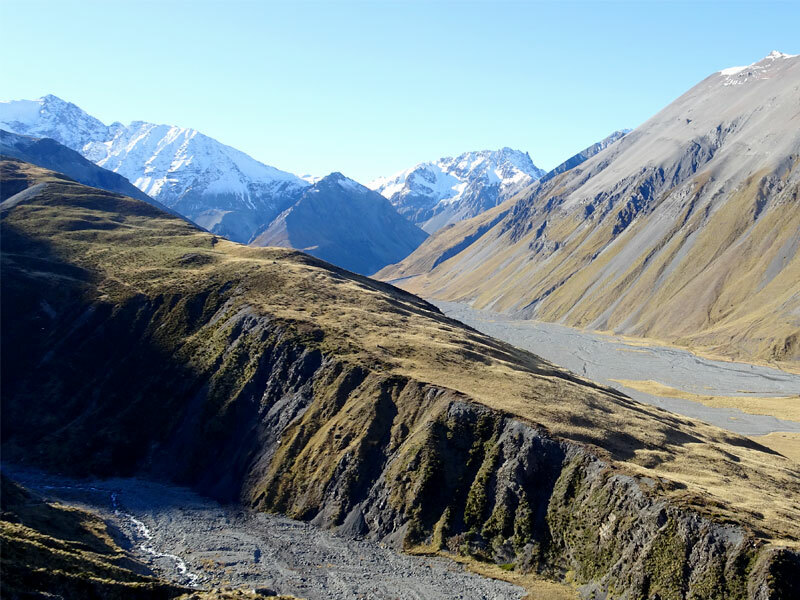 In the heart of New Zealand’s most impressive landscape lies the magnificent beauty of the Mackenzie Country basin. 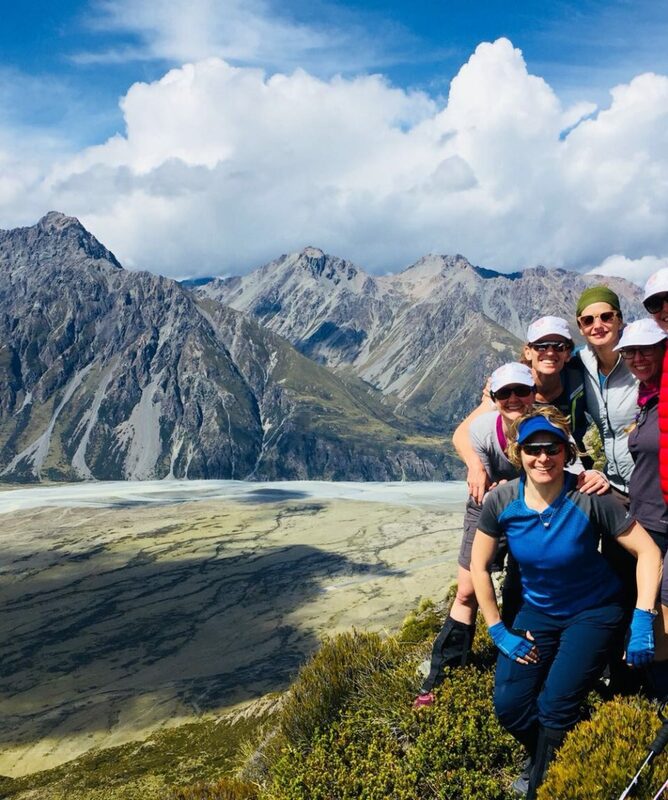 Home to flowing golden tussocks, aquamarine lakes, glaciers and high alpine terrain, this is a land that encompasses the Southern Alps at its finest. 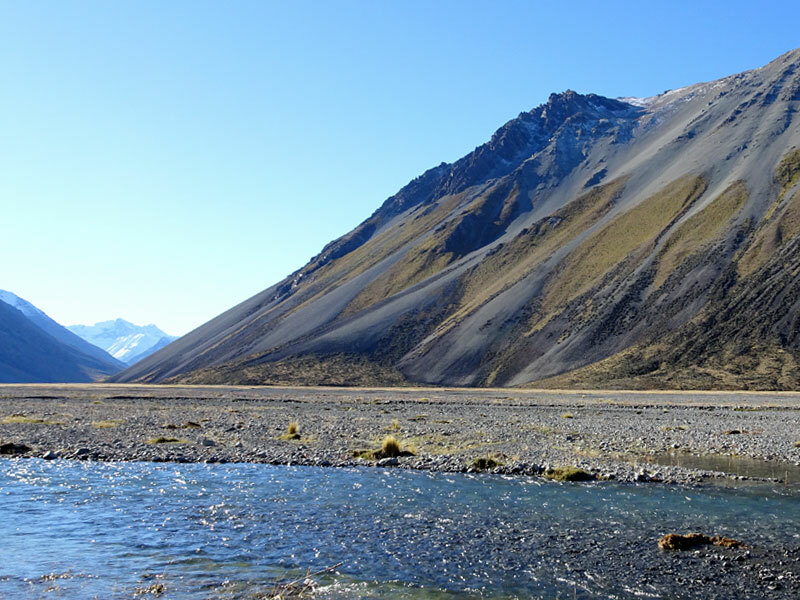 Staying on local sheep stations and walking on un-tracked land we deliver you an authentic wilderness experience. 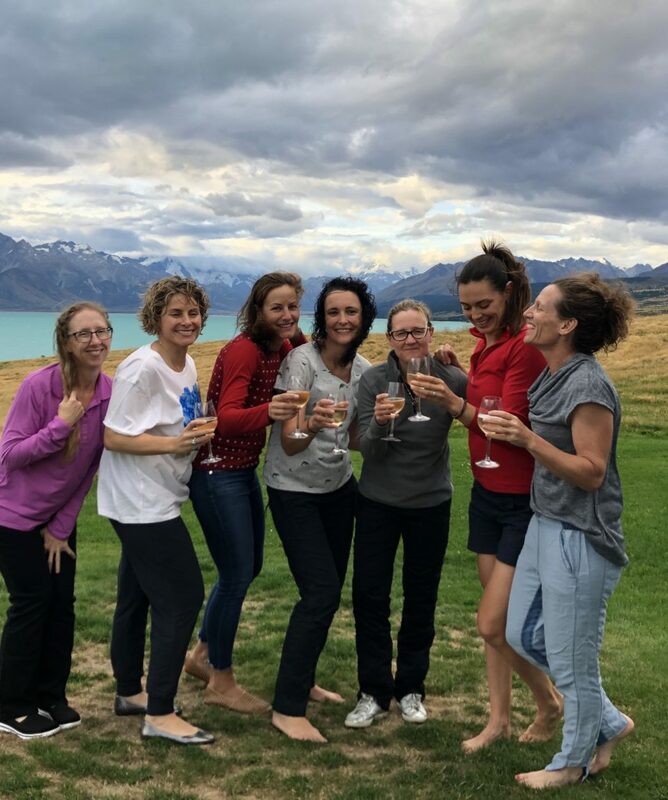 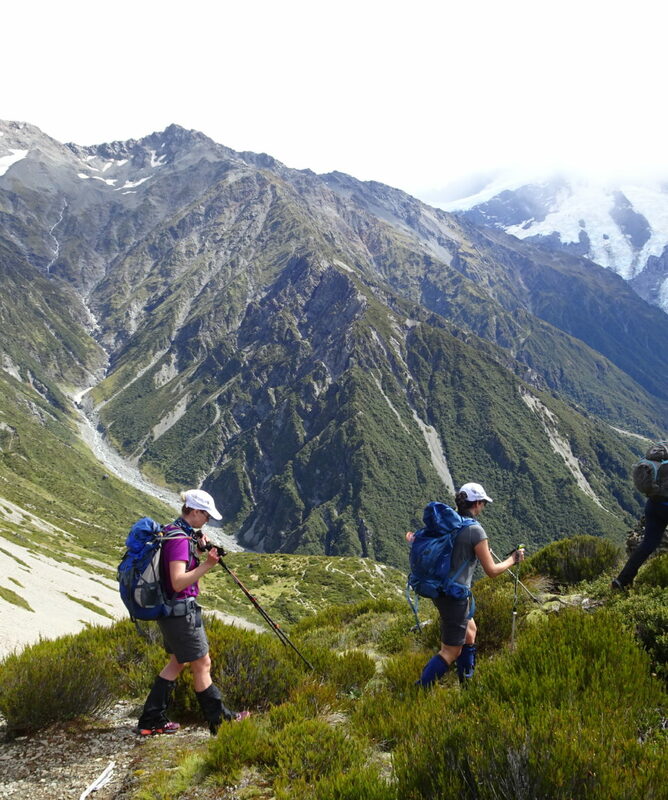 Developed exclusively for GirlsTrek by a local NZ wilderness company, this is your answer to your next unforgettable and invigorating challenge. 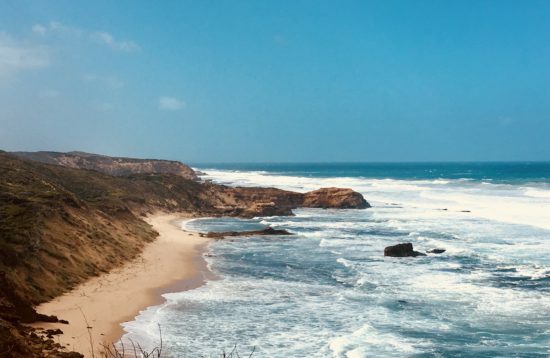 Ready to escape your everyday? 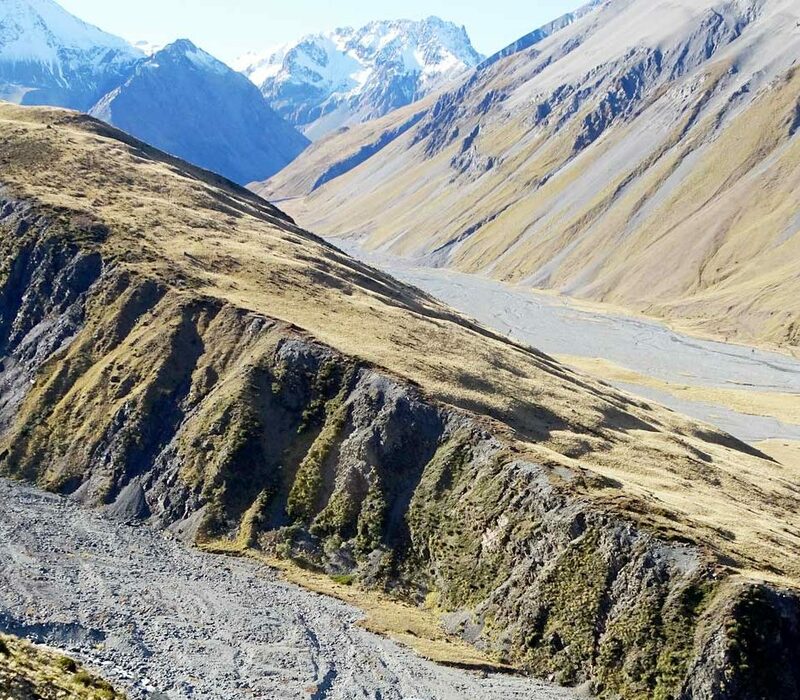 All about the New Zealand Backcountry. 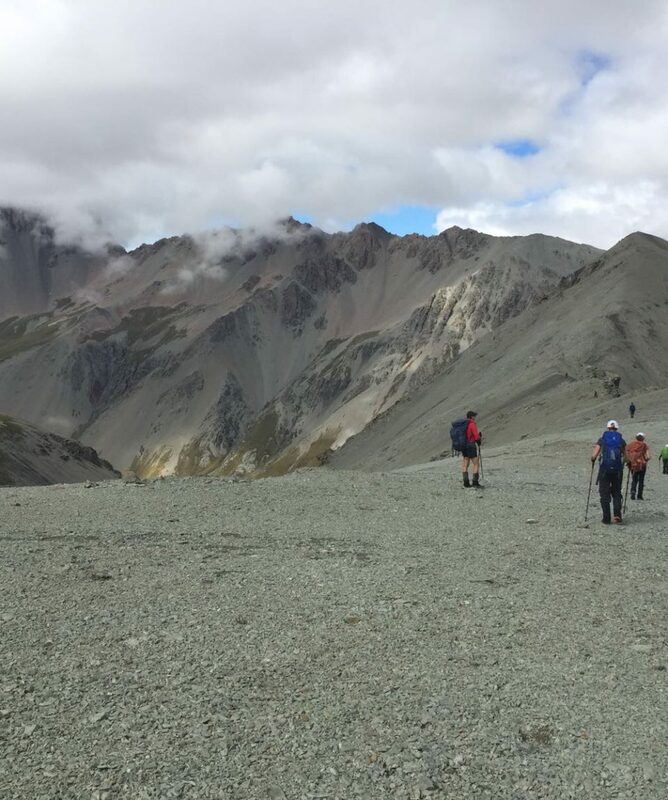 Unmarked high country trail trekking with a backpack weighing 10 + kg. 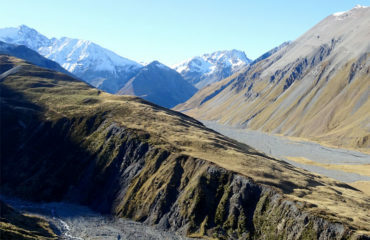 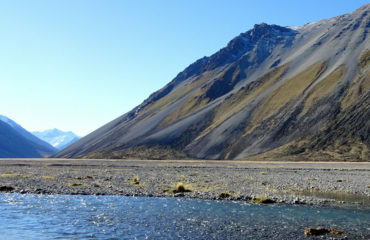 Considerable elevation gain, multiple glacial river crossings, scree running descents.